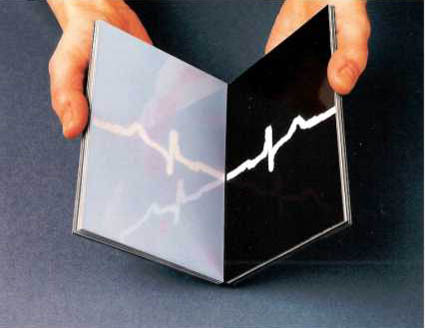 The series of light-sensitive books based on a record of one heart-beat scanned into line in a music score and transform on photographic and still light-sensitive paper. 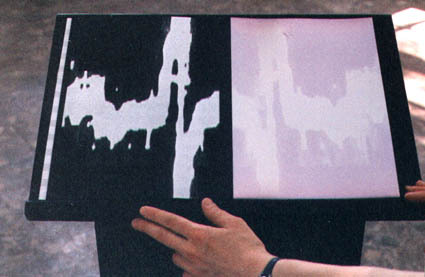 The light-sensitiveness of used materials makes the notation changing, disappearing, “lives” just as the sound to which it refers. each book-music score composes one of many possible modules of narration. 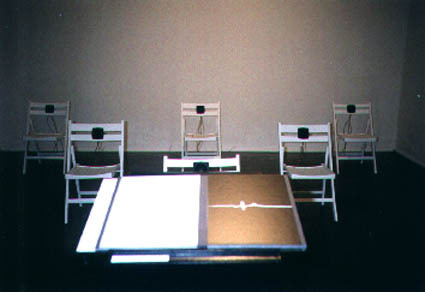 Black lecton, chairs painted white, joined by speakers. 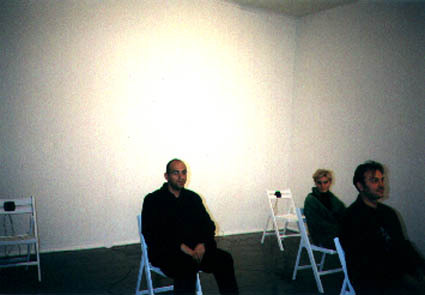 Sound: one heartbeat repeated in a loop.